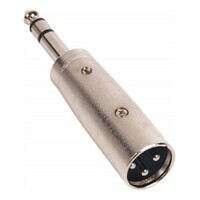 5m Length - SWAMP Mixer to PC cable. 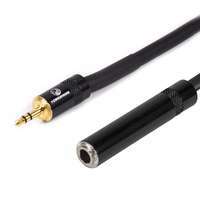 3.5mm Mini-Jack to Dual 1/4" Jack. 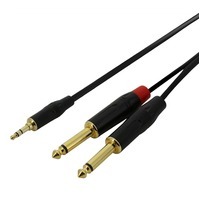 Used to connect from the stereo outputs on a mixer, into a stereo 3.5mm line in jack on a PC sound card. 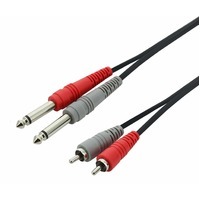 Used to connect from the stereo outputs on a mixer, into a stereo 3.5mm line in jack on a PC sound card. 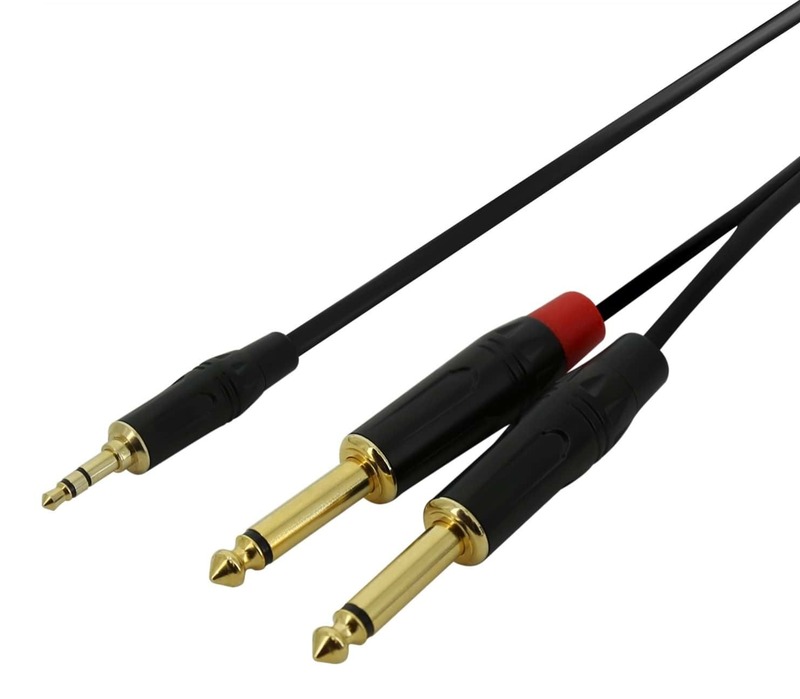 The missing link between the worlds of analogue and digital audio. 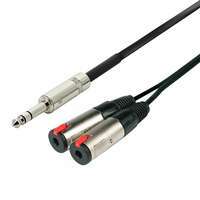 Now you can record your band rehearsal to your laptop in real time, so you can play it back and hear what parts you can improve or enhance. 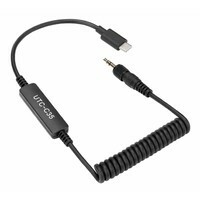 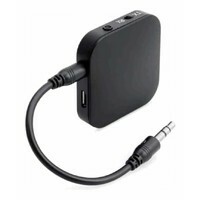 Also useful in reverse, playback music from an iPod, iPhone or laptop, and connect it to the dual (stereo) inputs of a mixer.